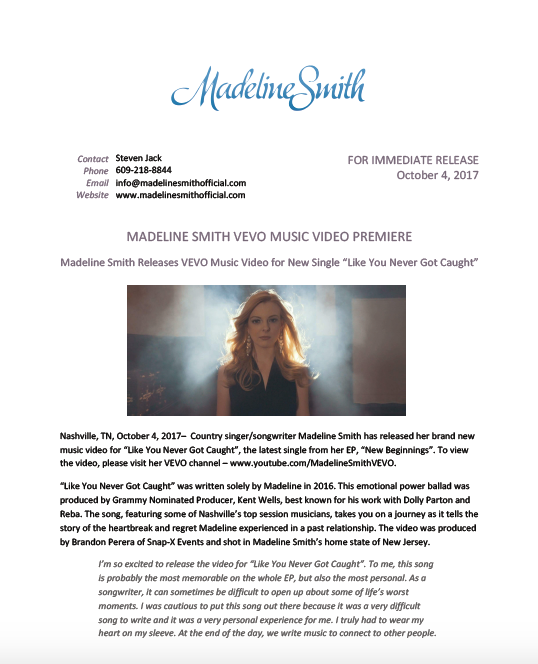 Madeline Smith Releases New Music Video "Like You Never Got Caught". Download official press release below. Madeline Smith Interviewed by Best of NJ. ​Check out the whole interview here. Madeline Smith featured in AXS after opening for Lee Brice. Check out the whole article here. "When you want the best and the brightest rising star in the business to step out on stage and get your crowd all fired up, there's only one name you need to know: Madeline Smith. From Lee Brice to Scotty McCreery and beyond, the hottest country acts know they can count on Madeline's shimmering dazzle and radiant presence to spark the night into a blazing bonfire of rollicking fun. Smith is a captivating joy who bristles with infectious energy and enthusiasm. With a day-making smile, golden locks, solid songs, and a voice that is a gripping blend of angels and edge, she is destined to reign." 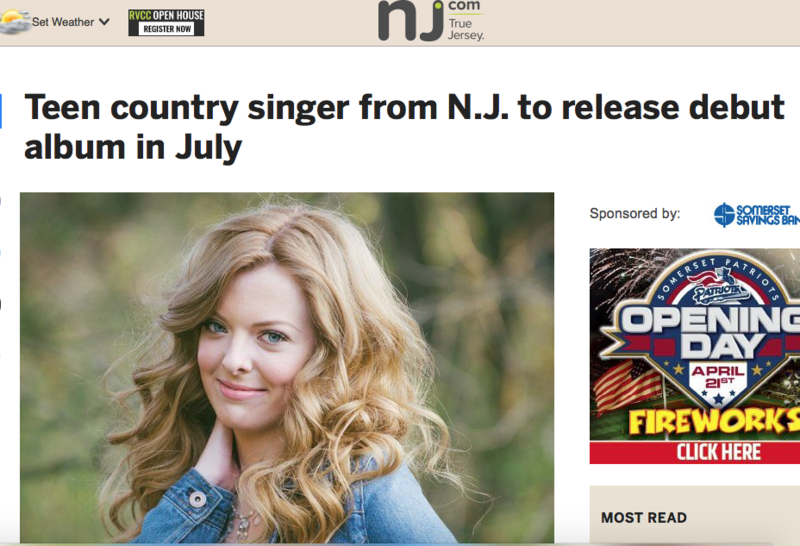 "Madeline Smith is Catchin' Fireflies in New Jersey" - Check out the full article here. "Madeline Smith to Perform at 2015 ECHL All-Star Fanfest" - Check out the full press release here. 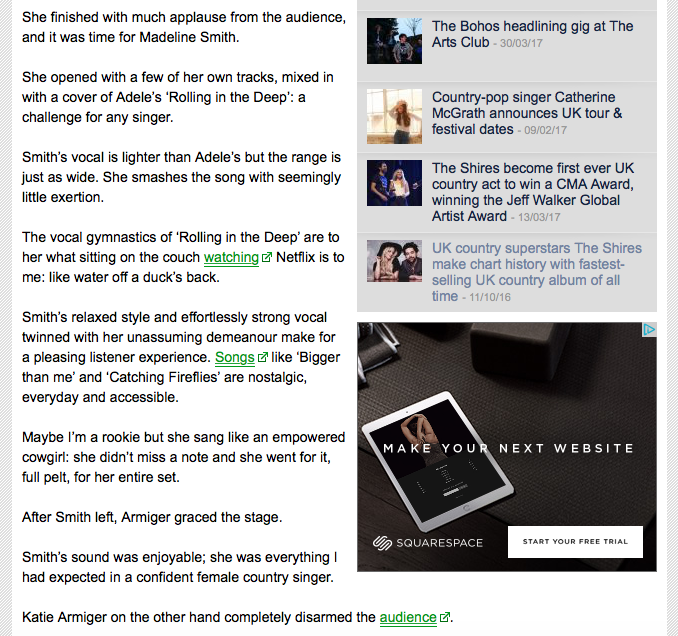 Performance Review of Madeline Smith's show opening for Katie Armiger in Liverpool, U.K. featured on Purple Revolver. Check out the full review here. "Smith’s relaxed style and effortlessly strong vocal twinned with her unassuming demeanour make for a pleasing listener experience. Songs like ‘Bigger than me’ and ‘Catching Fireflies’ are nostalgic, everyday and accessible. Madeline Smith celebrates the release of her debut album by opening for Darius Rucker. Check out the full performance review here. 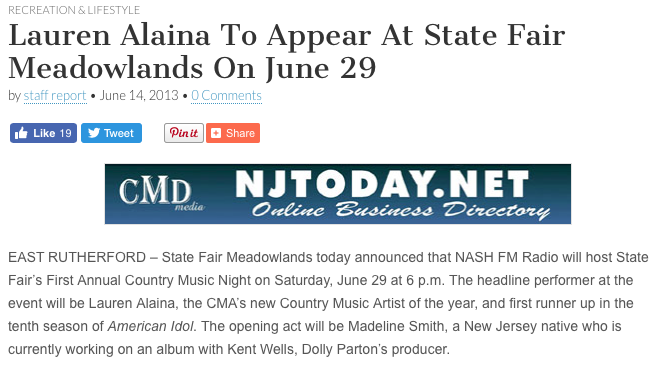 Madeline Smith featured in NJ.com for upcoming album release. Check out the full article here. Madeline Smith to open for Lauren Alaina prior to album release. Check out the full article here.